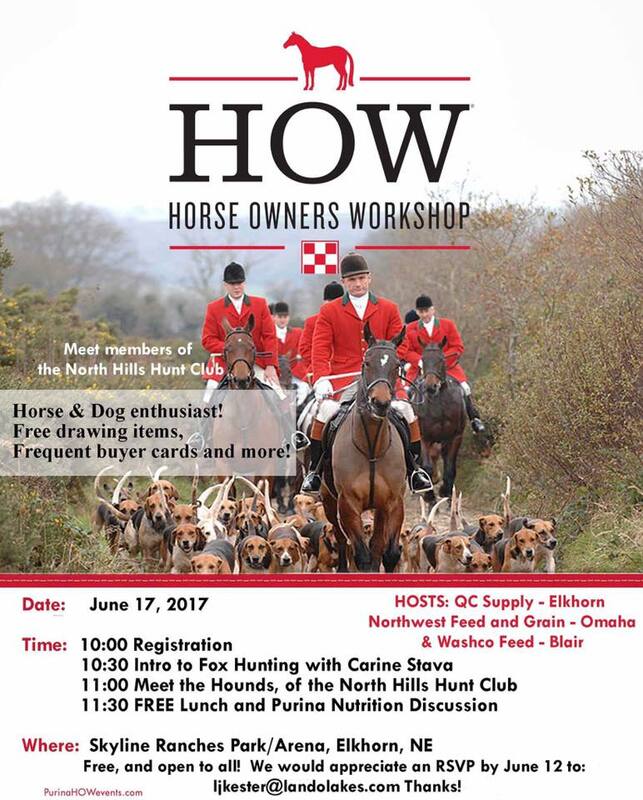 June 17, 10a, Skyline Ranches, Elkhorn, NE: Purina Horse Owner’s Workshop Featuring NHH Huntsman Dave Kruger and First Whip Bre Orsborn. Learn about foxhunting – the hounds, the horses, the people and the sport! Door Prizes, lunch! Information RSVP link. 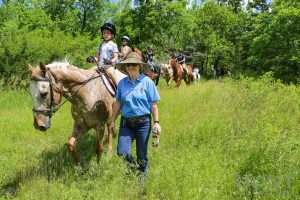 North Hills Hunt has something that will appeal to all riders, from 5 years to 100 years young. 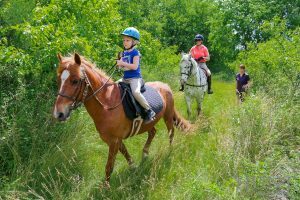 From the inexperienced rider to those who are looking for ways to challenge their riding skills. 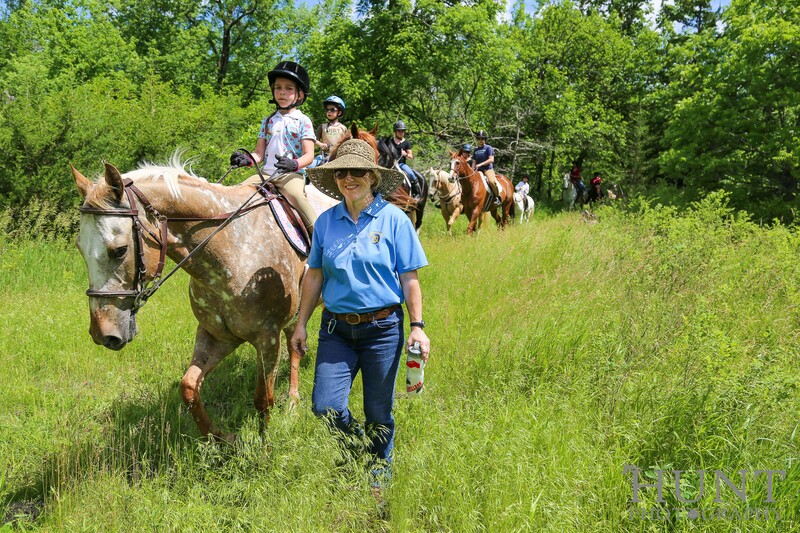 Bringing along the next generation of fox hunters is vitally important to our sport and to that end this weekend NHH had their first ever Junior Beagle Hunt. 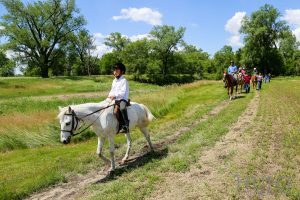 Held at the beautiful Rawhide Creek Ranch in Valley, Nebraska, the Junior Beagle Hunt offers the opportunity for riders to venture out of the ring into the great outdoors in a more controlled manner that gives the kids confidence. Trees, creek crossings, open meadows and rolling terrain make up this lovely ranch. Huntsman David Kruger brought the NHH pack of beagles and after giving a short talk on beagle hunting, including how to shout out ‘Tally Ho!’ if a rabbit is viewed, he led the 23 mounted riders, and the 20 people who followed on foot, through the beautiful countryside. We had a brief chase across the open meadows and when all had enjoyed a lovely time it was back to the trailers. Lunch was provided for everyone and t-shirts were given to all the junior riders.